Lock in a great price for Best Western Firestone Inn & Suites – rated 8.4 by recent guests! Beds were comfortable. Used the hot tub and it was clean and nice. It was just as expected. Looked just like the pictures. The staff was great. The staff was very friendly, by far the fastest hotel check in that I’ve ever experienced. The room was amazing, very spacious for the price, and VERY clean. The area was perfect for where I needed to go. I will definitely stay again whenever I need to go see family. A great stay! Wonderful property! Excellent staff, breakfast was a big perk for us and it wasexcellent! We would recommend this hotel to all our friends. Thank you! Great location for the things we needed to do. Easy to get to off I25. Clean and comfortable and quiet! Decent breakfast as well! There was a nice little exercise area, pool and whirlpool and breakfast that we took advantage of during our stay. The bed was comfortable and overall everything was clean. Everyone was professional and courteous, check-in and check-out was a breeze, I would recommend! The continental bkfst was very good. Saved us money by not having to eat out. Best Western Firestone Inn & Suites This rating is a reflection of how the property compares to the industry standard when it comes to price, facilities and services available. It's based on a self-evaluation by the property. Use this rating to help choose your stay! Located off Interstate 25, this Longmont, Colorado hotel offers a daily breakfast and rooms with free Wi-Fi and a cable TV. Bella Rosa Golf Course is just a 10-minute drive away. 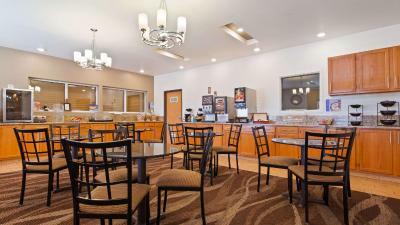 A microwave, fridge and coffee maker are provide in all rooms at the Best Western Firestone Inn & Suites. Each warmly decorated room also includes a work desk. 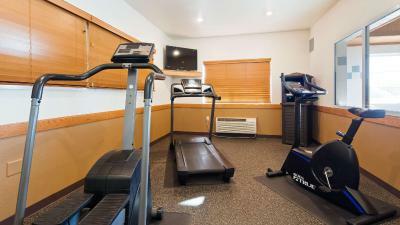 Free access to the hotel’s fitness room, indoor pool and hot tub is provided to all guests. The business center and front desk are both available 24/7. The Longmont Museum is 7.7 miles from the Firestone Inn & Suites Best Western, and the Denver International Airport is 37 miles away. Rocky Mountain National Park is within a 30-minute drive of this hotel. When would you like to stay at Best Western Firestone Inn & Suites? House Rules Best Western Firestone Inn & Suites takes special requests – add in the next step! Best Western Firestone Inn &amp; Suites accepts these cards and reserves the right to temporarily hold an amount prior to arrival. Best Western Firestone Inn & Suites accepts these cards and reserves the right to temporarily hold an amount prior to arrival. Really clean, warm pool. Nice hot jacuzzi. Friendly staff. Nice long bathtub with really hot water. Perfect temperature room. Breakfast good last a little longer. Room has an old towel and the soap and conditioner was left in the shower. Not much of a fitness center. I was in the suite. The fold out bed was not prepared. It took two trips by staff to bring bedding and I still didn't have a top sheet and was given 4 pillow cases for one pillow. It was frustrating and I just slept without the sheet. Also, the mattress on the fold out was very uncomfortable and lumpy. Love the breakfast and the hot tub. Location easy to get to.